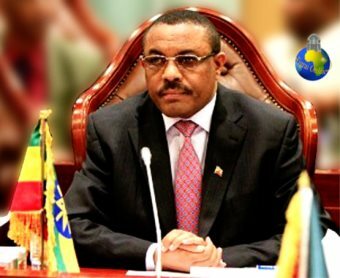 AFRICANGLOBE – In an interview with two ESAT journalists that was posted on YouTube last month, Isaias Afwerki raises the possibility of an economic union between Eritrea and Ethiopia to advance “common objectives”, similar to the economic arrangement that existed between Eritrea and Ethiopia during the 1991-1998 period. The main obstacle to forming such a union, he contends, has been “Woyane’s distortions to serve its narrow political agenda”. For the union to take place, he argues, the current government has to be replaced. His suggestion of a common market is mostly intended to placate Ethiopian viewers and listeners, especially those who believe in a democratic and united Ethiopia. Before we all jump on the bandwagon of a common market with Eritrea, we need to examine his statements critically since he makes a number of contradictory, disingenuous, and factually incorrect assertions. As part of a public relations campaign to convince Ethiopians about the benefits of an economic union with Eritrea, he seemingly extends a message of goodwill towards the Ethiopian people. He appears concerned about the myriad of political problems facing Ethiopia, echoing the fears, concerns, and worries of many Ethiopians about the political direction the country has taken since the EPRDF came to power in 1991. He says the “corrupt Woyanes” have accentuated ethnic division in Ethiopia to serve “their narrow agenda”; the constitution is “a joke and immoral”; it poses a grave danger to the unity of Ethiopia. He suggests that he supports the struggle for democracy and unity. In the interview, he covers a wide range of subjects, but it would be arduous to critique the entire interview since he talks about so many topics, often rambling from one topic to the next, frequently discussing matters that were not raised by the interviewers. 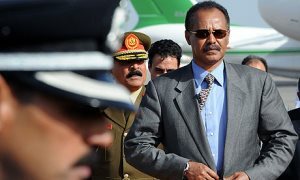 I will limit my brief comments to his statements related to the thawing of attitude towards Ethiopia, his advice to political groups opposed to the regime in Ethiopia, the distortion of history for political purposes, the demonizing of ethnic groups, his cavalier dismissal of national myths, his reference to “the sanctity of Eritrea’s colonial borders”, his claims of opposing the EPRDF’s constitution, and his support for the opposition groups in Ethiopia. I will address the myth about the mutual benefits of an economic union between Ethiopia and Eritrea. As well, I will argue that the EPLF supports some of the opposition groups fighting the current regime in Ethiopia to advance its short-term and long-term objectives, not out of any altruistic motivation to help Ethiopia solve its political problems. I also raise the clash of national interests over the port of Assab. I hope the comments will contribute to the debate on the strategic objectives of the EPLF in Ethiopia, the proper tactical and strategic alliances for creating democracy and national unity in Ethiopia, and the potential conflict with Eritrea over the post of Assab. The comments appear in 7 parts. Isaias Afwerki’s views on Ethiopia, as well as those of many Eritreans in the Diaspora, seem to have evolved for the better. The anti-Ethiopian rhetoric of the EPLF and its supporters has subsided, if not completely vanished. The change in his attitude towards Ethiopia may reflect a genuine recognition of the historical ties between Eritrea and Ethiopia, but it is also a pitch for an economic union to extricate Eritrea from the multitude of social, economic, and political problems it faces under his regime. In Eritrea today, the people face hard economic hardship (as witnessed by the interviewers); his regime is internally and externally isolated; and the majority of Eritreans have become disenchanted with his government. Therefore, short-term and long-term economic and political motives explain his apparently reasonable, thoughtful, and conciliatory statements about Ethiopia. His pronouncements are politically motivated, but the improvement in the attitude of many Eritreans towards Ethiopia is most probably genuine. A few years ago we, Eritreans and Ethiopians, were usually described as citizens of the Horn of Africa, but today we are all “Habeshas”, at any rate some of us, sharing the same positive traits. There are a few explanations for this evolution in attitude. First, Eritreans are frustrated, bitter, and angry with the regime in Eritrea. Many consider his government to be as bad as the Derg, if not worse. Despite the huge sacrifices they made for achieving independence, Eritreans are embittered that they ended up with a dictator, not much better than Mengistu. Second, they have come to realize that the EPLF’s anti-Ethiopia propaganda is untruthful. Eritreans, especially the Tigrigna-speaking Eritreans, have rediscovered that they have shared history and culture with Ethiopia, particularly with the history and culture of Abyssinia. Third, Eritreans recognize that there is no fundamental animosity between them and Ethiopians. The animosity, such as it exists, has been engendered, fomented, and exploited by politicians on both sides. After a cooling off period of almost a quarter of a century following Eritrean independence, after realizing that independence did not deliver what was promised, it appears that Eritreans have re-examined their negative attitude towards Ethiopia. The apparent change in his feelings towards Ethiopia may mirror the real improvement in the predisposition of many Eritreans towards Ethiopia.